The bodily Resurrection of Jesus from the dead is the lynchpin of Christianity, because without it, our faith is in vain (1 Cor. 15:14, 19). The Creator of the universe (John 1:1, Col. 1:16) took on human form (he pitched his tent among us, John 1:14) and died on a cross for our sins (Phil. 2:6-11). Jesus defeated death by rising from the grave (Hebrews 2:14, Romans 1:4). Indeed, the entire Bible lays out God's plan of redemption of mankind from sin. Some folks do not want to accept the historical narrative of the Bible. This is clearly from bias, not logic. Compare the Bible with legends and the sacred books of other religions, and there is a marked contrast: details. Other accounts are vague while the Bible gives specifics, many of which have been corroborated through archaeology and history. Mockers have attempted to come up with ways of dismissing the Resurrection, but those fail under scrutiny. The New Testament documents are abundant, the oldest of which are dated within a few decades of the actual events. Other ancient texts are far fewer in number, with more significant time gaps. The Gospels are prima facie historical accounts and completely reliable. We are given the record of eyewitnesses (Jesus appeared to Mary Magdalene, and entrusted women to spread the news of the Resurrection, which was unthinkable in that culture). Also, we have the validity of Scripture, so there is no legitimate reason to doubt the Resurrection of Jesus. Unlike many world religions, Christianity’s origins are not shrouded in an unwitnessed, mythical past. The Christian faith centers on the person and work of Jesus Christ. His life and miracles were witnessed by thousands, and His sacrificial death on the Cross was also a public spectacle. Three days later, God raised His Son from the dead, and over the next forty days, Jesus appeared to hundreds of individuals. Overstating the importance of the Resurrection is impossible. 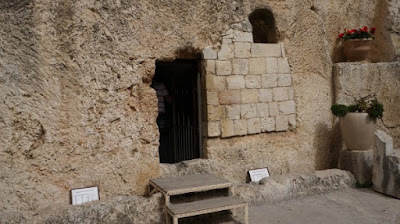 It conclusively demonstrated Christ’s power over the grave, secured our hope of eternal life, and proved that He truly was and is the Son of God. Because He rose, Christ also proved that every non-Christian belief system is false, and that He will eventually return to judge this world (Acts 17:30–31). So it’s no surprise that people have tried to deny the historic reality of the Resurrection. The attacks began the day of the miracle (Matthew 28:11–15) and have continued until the present day, from the Jesus Seminar to the recent “Jesus myther” fad. The ongoing assaults demonstrate that nobody has found a workable alternative. The biblical and historical evidence is just too overwhelming. To read the rest or download the MP3 version, click on "Resurrection — No Doubt About It".